Our Real Estate office is in the central plaza of Frailes, nestled in the beautiful Hondon Valley and surrounded by mountain views. It enjoys over 300 days of sunshine per year. Summer temperatures can reach 36 degrees (and higher) with the winter averaging a pleasant 18 degrees. However, it can be chilly in the evenings during the winter months due to the geographic altitude, so warm comfortable clothes are recommended. Spain is heavily reliant on farming, building and of course tourism. 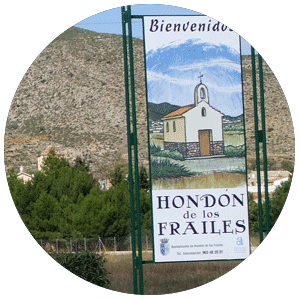 Hondon de los Frailes, like many in the Hondon Valley, is a typical rural Spanish agricultural village and reflected in it's housing and structure. In general it is a tranquil location. The farming of olives, almonds and grapes are the dominant crops and the locals work the land all-year-round. But you will find many vegetables on offer, including tomatoes, spring onions, artichokes and more. Stavia is a latest addition to the area. So harvest is a busy time of year and sees a big influx of migrant workers and casual labour. It's a pleasant sight to see the fruit and veg' you have been watching grow all year now being ready to eat! And very cheap at the local markets. In recent years the second dominant industry of quarrying/building has diminished due to the recession and down-turn in new build properties. However, 2016 was a great year for property sales and Spanish Tourism. But you will see a few disused quarries but thankfully most are hidden away. Thankfully, Frailes has managed to stem the austere tide due to the influx of northern Europeans buying property in the area. As such the village culture has adapted to this with Expat bars and restaurants opening to cater for their tastes. The local Spanish have embraced this foreign influx and you'll definitely find the local village folk and fiestas are a pleasant and friendly. Over the past ten years the income from foreign investment has enabled this small village to extend it's services and infrastructure. All the roads have recently been re-laid with extra parking. There is now a new and bigger town hall and cultural centre. The main Village Plaza is the focal point for most events here, including the ever popular fiestas and parades such as "The Three Kings" and "Water Fight". Spain is still quite a religious location and the central church is a family focal point. It has recently been refurbished and the bells repaired at last!. In general the bars, shops and restaurants have improved the d�cor and capacity. The feel of the village is still very much a Spanish "cafe culture" outdoor living. Enjoying those lazy hot summer days is a must and so easy to embrace. 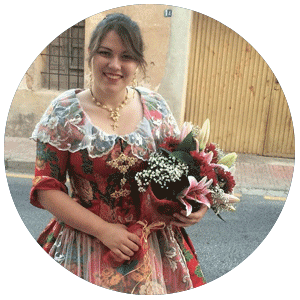 The Town Hall are proud to offer a mixture of tradition and modern events through their Fiestas, religion and community events. You'll be amazed how these small Spanish villages manage to put on a show. The Expat' community have also embraced heart and soul of this area. They are represented in the council and entertainment decisions. Many charitable events organised by Expats have helped integrate them with the locals. Of course the Spanish are friendly and peace loving people and are very tolerant of foreigners. It is recommended you try to speak some Spanish, after all it's their country but you'll find it is not too hard to get by. There are teachers offering Spanish Lessons for a small fee. The village also offers a hard court and flood-lit football area, a communal swimming pool (in the summer) and various events in the cultural hall. As for amenities, it has most things you would need on daily basis including: a pharmacy, doctors surgery, DIY shop, post office, tabac, town hall, real estate office, market hall, pet shop and much more. It is very rural and peaceful and for what it lacks in services it more than makes up with charm and tranquillity. Of course the surrounding villages and town have other services to offer (5/15 minutes drive). The two bigger towns with larger shops / supermarkets are Aspe and Albatera. The latter is a lovely scenic drive over the mountains (although some people prefer the easier drive to Aspe). Further afield is the city of Elche (25 minutes drive) with all mod-cons such as malls, designer shops, cinemas, stadiums, music events and it's heritage park of 1000's of palms and it's central historic cathedral. All worth a shopping trip or tourist visit. Alicante city and airport are about 30 minutes away. A truly cosmopolitan city, a beautiful harbour/marina and the Santa Barbara castle to behold. Alicante is best late evening along the promenade or old town with tapas bars and craft stalls. Often there is free music events and many top quality restaurants to choose from. Buying Property? See our: Villas in Frailes or visit the Village Community website or the local Facebook Page.